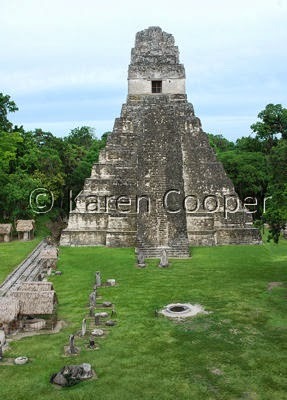 Tikal is simply one of the most incredible archaeological sites in the world. The site itself is in a national park that covers approximately 576 square kilometers. There is ongoing restoration work being done so some of the structrures, even though you can still climb up to them, are not totally visible due to scapholding. Not a problem as the hundreds of other buildings are almost sensory overloading in their sheer size and splendor. Lots of different and exotic species of birds to watch out for as well. That is if you can tear yourself away from the jaw-gaping sights of the ruins long enough to search for them. The vision of miles of uninterrupted jungle from the tops of some of these pyramids is surely humbling....and well worth the time spent to actually get here. I, for one, will never forget this experience.